Keeping your IT closet organized and free of tangled wires and clutter not only makes future changes and troubleshooting easier, it keeps equipment ventilated and cooler thus prolonging their usable life. 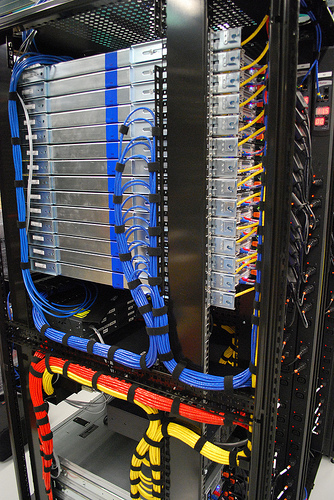 All wire management provided is tailor fit for your specific needs. We will work tirelessly to make sure that your IT infrastructure is set up for peak performance and efficiency, while provided cost saving solutions. Working to create a well laid out IT closet will enable us to perform any adds/move/changes in the future at reduced labor costs. Adding equipment or taking inventory of current equipment will never be easier.